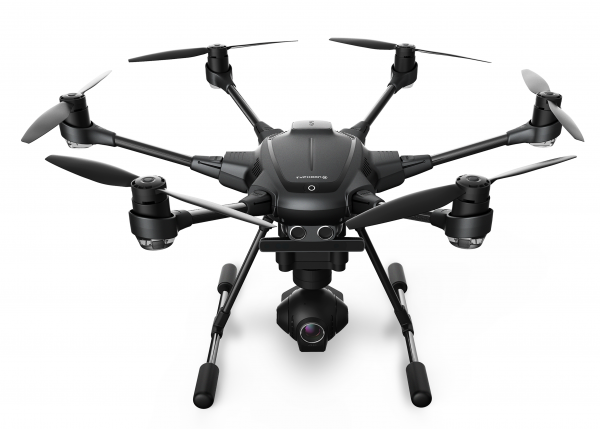 Product information "Typhoon H Pro with Intel® RealSense™ Technology (EU Version)"
Typhoon H is an advanced aerial photography and videography platform available in such a compact size. Driven by customer demand for a design that goes beyond the limitations of a traditional quadcopter, Typhoon H delivers capabilities previously only found in high-end professional offerings, but at a consumer price. Typhoon H offers flight durations of up to 25 minutes while filming with the CGO3+ 4K UHD camera. The Android powered ST16 Ground Station features a 7-inch touchscreen that displays live footage of your flight in HD 720p resolution and enables a wide variety of autonomous flight modes. Capable of detecting obstacles and intelligently navigating around them, Typhoon H with Intel® RealSense™ technology gives you the freedom to explore new creative options. Typhoon H with Intel® RealSense™ technology builds a 3D model of the world, while navigating through it. Using a 3D model of its environment enables the drone to make intelligent choices about creating routes around obstacles. Additionally, RealSense is capable of remembering its environment, further enhancing the prevention of possible collisions. It is not reactionary – if it avoids an obstacle once, it will remember the location of the obstacle and automatically know to avoid it. The Typhoon H Pro RS includes: Typhoon H hexacopter, CGO3+ 4K gimbal camera, ST16 remote control, 2 batteries, backpack, wizard remote, Intel® RealSense™ technology, user manual and accessories. Related Links "Typhoon H Pro with Intel® RealSense™ Technology (EU Version)"